While we were waiting for our simmering pigs heads, we decided to attempt one of David Chang’s more straightforward recipes: pork buns. I say it is simple, because we took the short cut and bought the buns. 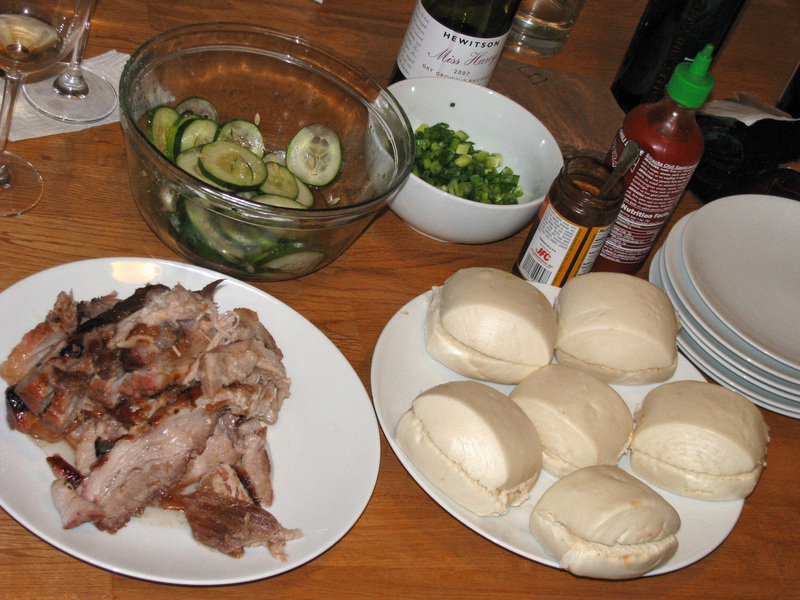 This meant that all we had to do was roast some pork belly, make some quick salt cucumber pickles and steam the buns. Like the pig’s heads the belly came from Bluescreek Farm Meats at the North Market. The belly which Chang says can be used ‘for ramen, pork buns and just about anything else’ is rubbed with sugar and salt, refrigerated and then roasted for a couple of hours, which left us plenty of time to eat before the heads were ready. The buns came from Columbus Asian Market on Bethel Road. 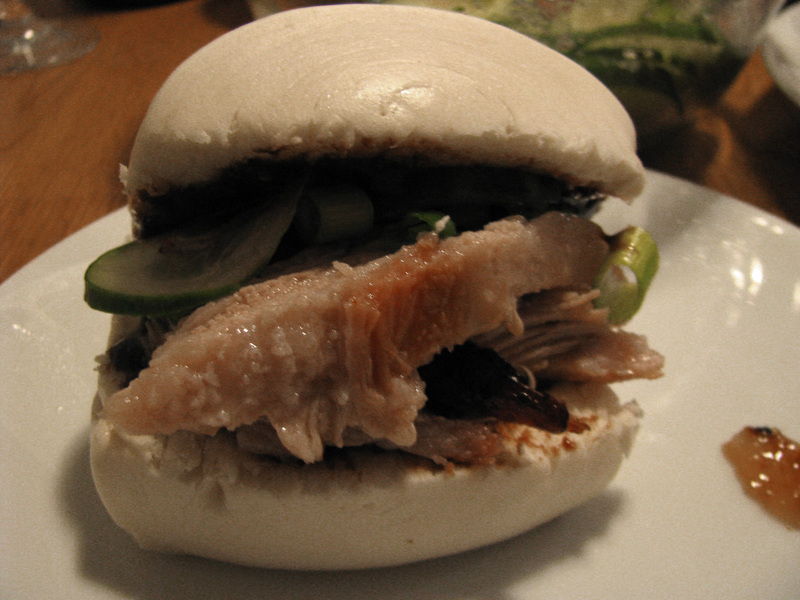 We couldn’t find buns as thin as those shown in Momofuku so used the only plain steamed buns we could find. Maybe next time (when we aren’t busy boiling pig’s heads) we’ll try making the buns. The cucumber pickles are made with sugar and salt and no vinegar. They are ready in 5-10 minutes. We couldn’t find the specified Kirby cucumbers so used full sized ones. 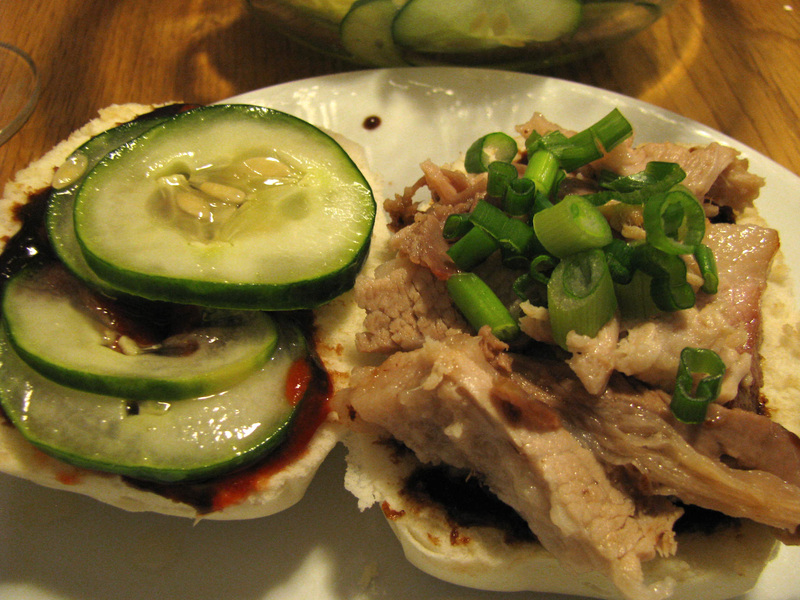 The other accompaniments are hoisin sauce, thinly sliced scallion and Sriracha. 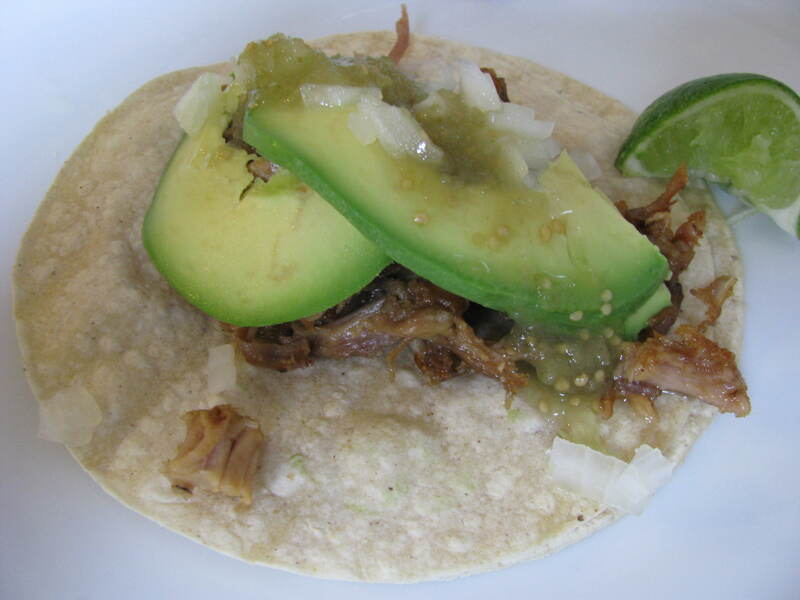 You can tell I’ve been to too many taco trucks – my first idea of how to use the left over meat was to put it in a corn tortilla. Amazingly after all that butchery and boiling pig’s heads I was still up for eating pork the next day. As Chang says, that pork belly is good for just about anything else. As one of the participants I should add a couple of comments. 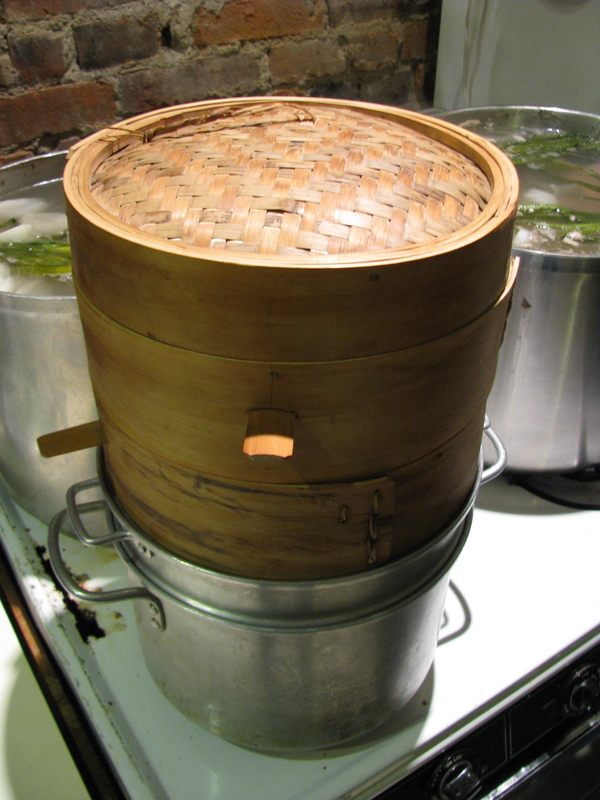 First, Chang himself does not recommend making your own buns because it’s too much trouble. This is a man who recommends boiling pigs’ heads in a different recipe, for Chrissake… so I take that advice seriously. Second, for anyone considering this recipe? The consensus at the time was that these were both very easy and REALLY good. 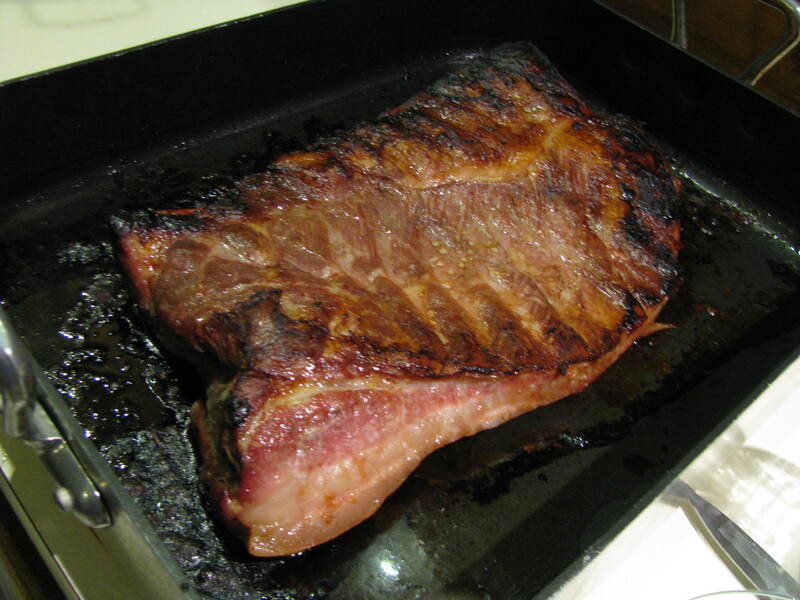 Just had my first try at cooking pork belly. I was thinking about serving it on its own as part of my NYE feast, but after seeing this, perhaps I’ll come up with something to accompany it. 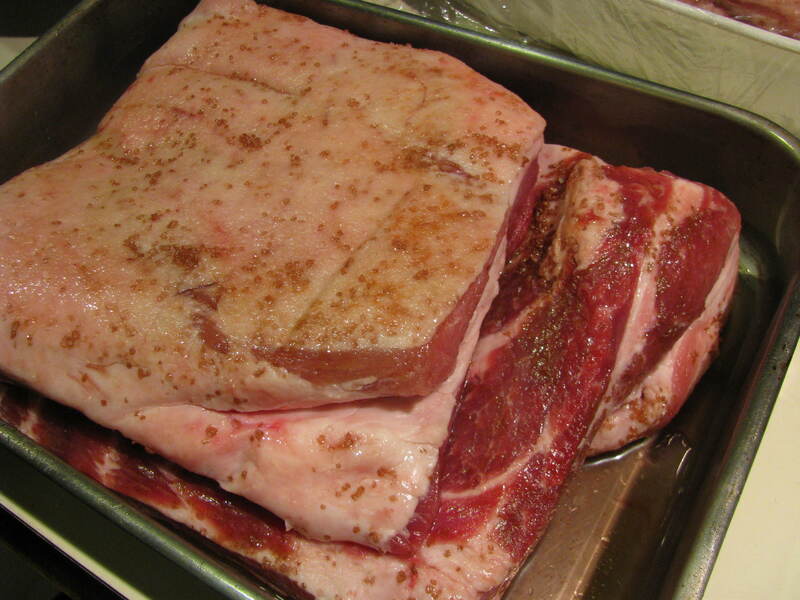 So that it’s not as blatantly obvious that I’m serving pork fat for dinner.